Summer usually is one of the most anticipated seasons in a year. Most curriculums in school end during this time and the kids are always ready to go out on vacation. The summer weather is outstanding, and there is no better place for a holiday than Italy. Family holidays in Italy are successively fun especially when you have 450 islands you can easily access. There are about 350 sea islands in Italy with around 13 archipelagos. Venice alone has 32 occupied lagoon islands! This big list of islands provides variety which is ideal when you are planning for a trip to Italy. Some of these islands are relatively small, but if you are a fan of the green environment, you are undoubtedly going to love all these islands. 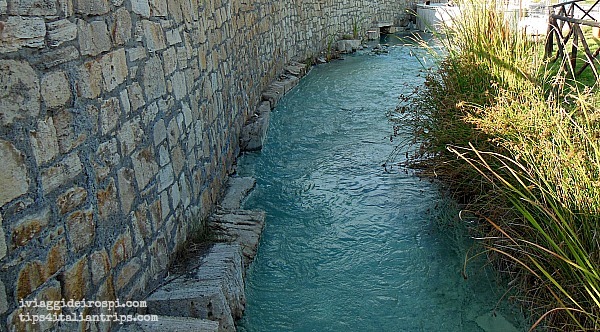 The waters are naturally clear, and right on the edges, you will notice the well-preserved flora and fauna on the shoreline. These are the best islands to experience the real beauty of nature. Elba island is one of the Tuscany islands near Rome and Florence. It is not just famous for no reason especially since it is the biggest and most famous island in the Archipelago of Tuscany. The island is perfect for tourists in search of a pleasant beach retreat with their kids. It can merely serve as a get-away fun place where you can put behind all the hardships you go through in city life. The only scary aspect of this island is its perfection. The gorgeous beaches are incredibly sandy its blue waters glitter, and the mountains are decorated with high wooden trees. There are a variety of activities suitable for both you and your kids. If you are not careful, you can get stuck on this island. This is the second largest Islands in Tuscany. 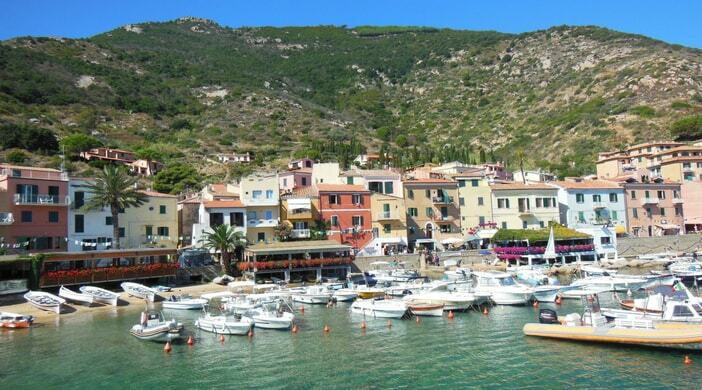 Once you are on Giglio Island, you should start by getting a ride on the ferry, that will take you to the Giglio Port. This cruise is a perfect starting point for a holiday with your family. You can rent boats, tours and hire snorkelling or scuba diving gears, or explore Giglio Castello (the Fortress) on the top of the hill. 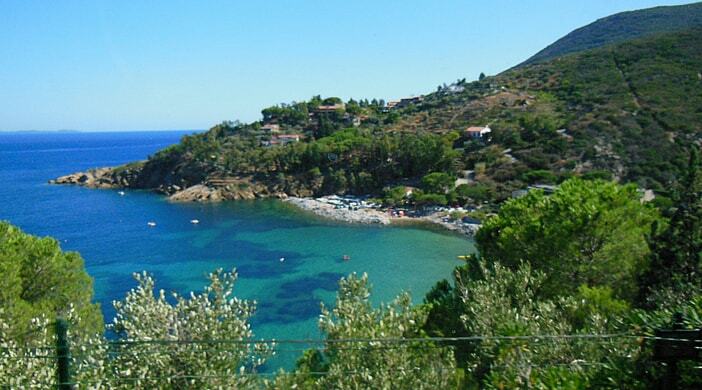 Giglio island is rich in hiking paths, legends from pirates’ world and ancient traditions. This is the third biggest island on the archipelago of Tuscany. The along the landscapes of the Capraia islands are high cliffs which are suitable for, and the inland terrain is perfect for hiking or biking. In the southern parts of the islands, you will see traces of an ancient, now-extinct volcano. The eternal city is only 30 minutes drive from the coast, but there are two breathtaking islands you should visit – at least on a boat day trip – if you are visiting Rome. 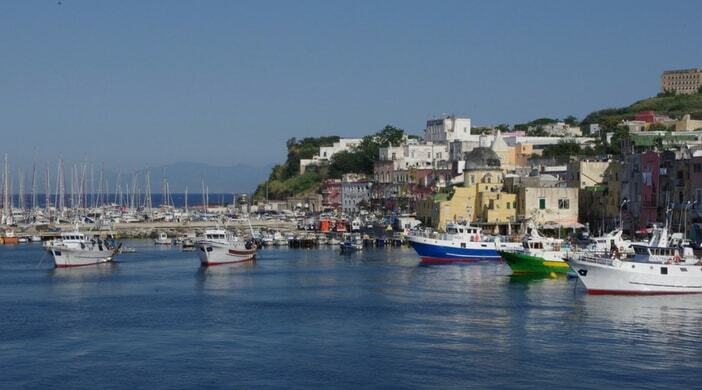 Have you ever heard about Ponza or Ventotene? 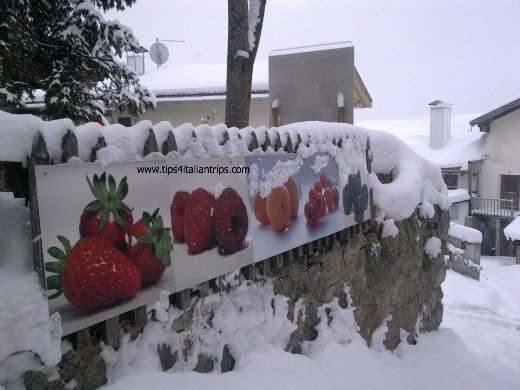 They belong to Pontine archipelago as well with Palmarola, Zannone and Gavi. Like many other Italian islands, they have a volcanic origin and stand in the Tyrrhenian sea, between the city of Rome and Naples, close to the Gulf of Gaeta. Tip from our family: if you love sailing, go absolutely to Ventotene. The island is home to one of the greatest sailing school we have the “Lega Navale” (Sailing League) that arranges sailing lessons combined with an active family holiday for a minimum staying of five nights. The bay of Naples consists of three islands, Capri, Ischia and Procida islands. Both with Costiera Amalfitana, this area of Italy is famous for its coastal Roman remains of Pompeii and Herculaneum at the foot of Mount Vesuvius (along with the north coast). You should consider these islands if you a planning a family trip to Italy, and the Capri island is enough to convince you. 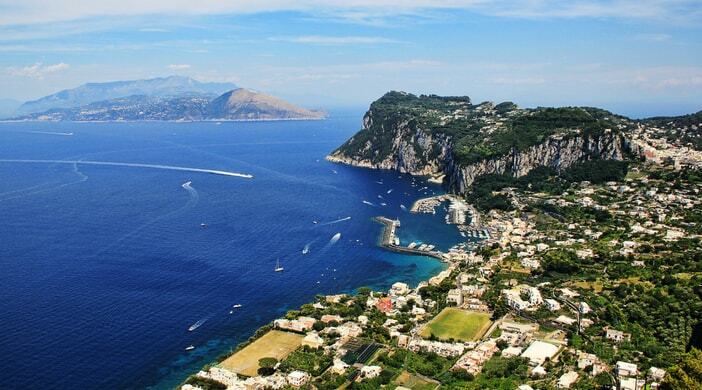 The seas surrounding Capri island are home to diversities of whales and dolphins including fin and sperm whales. Procida is tiny, but quite well populated. Unlike Ischia and Capri, this island doesn’t have that much of a touristic feel, so if you are looking for a truly local experience go there on a day excursion from Naples. The Aeolian archipelago has an outstanding history of volcanos in the region. The positioning of all the islands forms a unique shape which is as a result of volcanic activity that occurred years ago. It is a right place for explorers who are into geology and geography stuff. During the day, you can hike with your kids up to the peak of the crater of the volcano and get the perfect view of all the islands. Later at night you can hit any of the spots in the archipelago and experience a nightlife worth remembering. 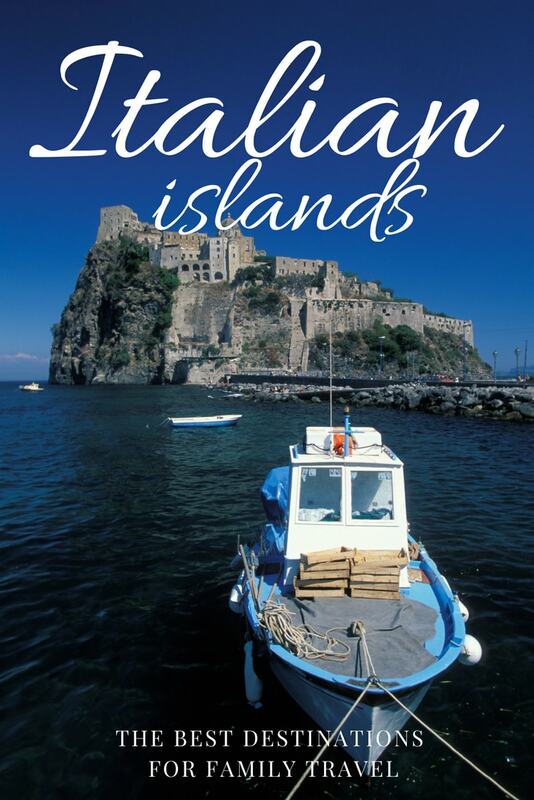 Lipari island is the biggest and most famous when compared to all the other six Aeolian islands. The island has a hospital, schools, and year-round life. It is beautiful and packed with neolithic vases, Roman amphorae, and an extraordinary collection of theatrical masks and statuettes commissioned by Sophocles and Euripides. These archaeological sites put the Lipari islands on the map as one of the most visited islands in the Aeolian archipelago. If you want peace and silence for you and your family, then this particular island should feel right at home for you. It is peaceful, and when you get the chance to visit the remote villages, you can enjoy the mule rides. If you are not staying at Stromboli, make sure you plan a boat tour at night at “Sciara del Fuoco“, the place where the volcano gets into the sea. 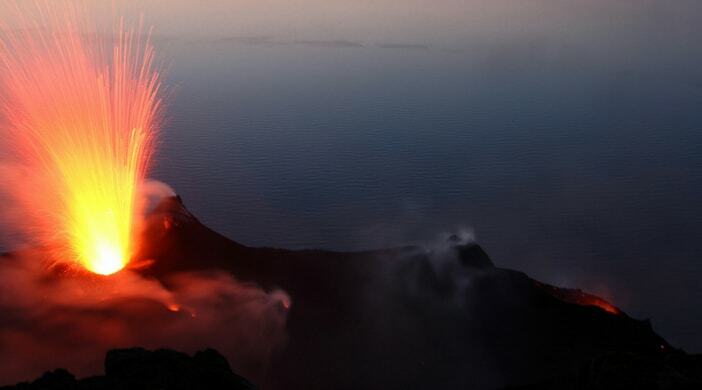 In fact, Stromboli is an active volcano and the view of lava and lapillus at night is something rare and unique. The Islands of Egadi are situated on the western coast of Sicily and comprises of only three islands: Favignana, Marettimo, and the Levanzo. The islands produce the most magical Italy summer holidays with lots of prehistorical sites you can visit. Apart from the rugged cliffs and the thick pine woods, this archipelago offers other pleasantries like scrumptious meals cooked and seasoned by re-known master chefs in the country. Even without a telescope, your kids will love the view of the glittering dark sky at night. 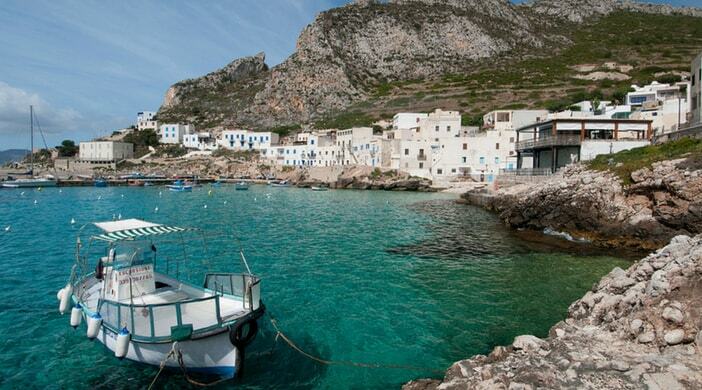 The most visited island in the Egadi archipelago is the Favignana island. Favignana island, usually called La Farfalla due to its shape, is famously known for its caves. The west side of the mountains found on this island slopes down into the sea, creating many evocative caves and grottoes. Every summer morning, when the sea is calm, the local harbour fishermen compete with each other to whisk the people visiting off to see the beautiful Grotta Azzurra. La Maddalena archipelago is famous for its lovely Italy beach holidays and the fun-filled national parks. 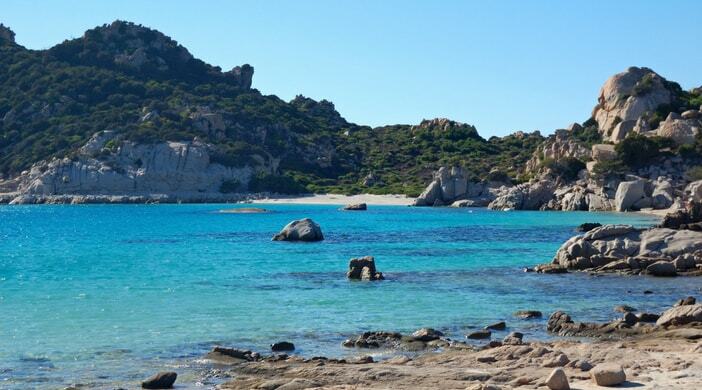 The La Maddalena archipelago is praised for having some of the most beautiful beaches in the Mediterranean. The archipelago is made up of 7 major islands: La Maddalena, Santo Stefano Cabrera, Razzoli Budelli, Santa Maria, Spargi, and other smaller islands which surround the blue ocean. 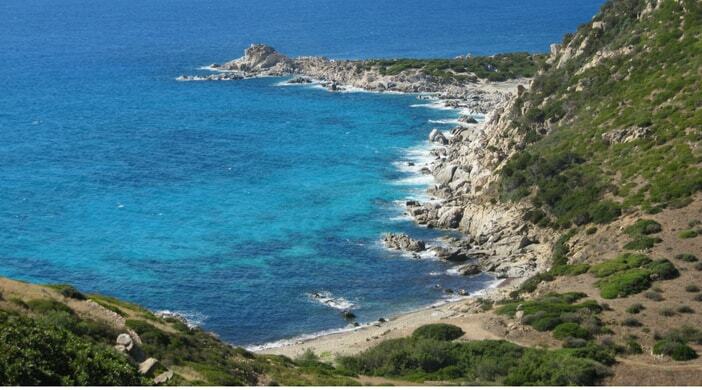 La Maddalena archipelago is famous for its lovely beaches and its national park. You can hire a private boat to travel to the surrounding uninhabited islands, or you can relax in one of the café au lait sands of Spalmatore Beach. Your kids are also covered too on this island. There are lots of activities your kids can enjoy. Activities such as hiking, swimming, sky viewing and beach games are always available and fun to try out. If you are planning for a family trip to Italy, then La Maddalena island has everything you need for you and your family. The Caprera island is another exciting island frequently visited in Italy during summer holidays. This island hosts some of the best beaches in Italy. For example, the Spiaggia Due Mari beach separates the two seas partly with its either sides. This is a fully serviced beach on Caprera where you can hire a parasol, trendy beach bar with fantastic food, and plenty of beach games like volleyball for your kids. If you are planning on having a beach holiday in Italy, you got to visit the Caprera island. The “Diomedes” archipelago – the other way to call Tremiti islands – stands in front of the Gargano’s promontory. 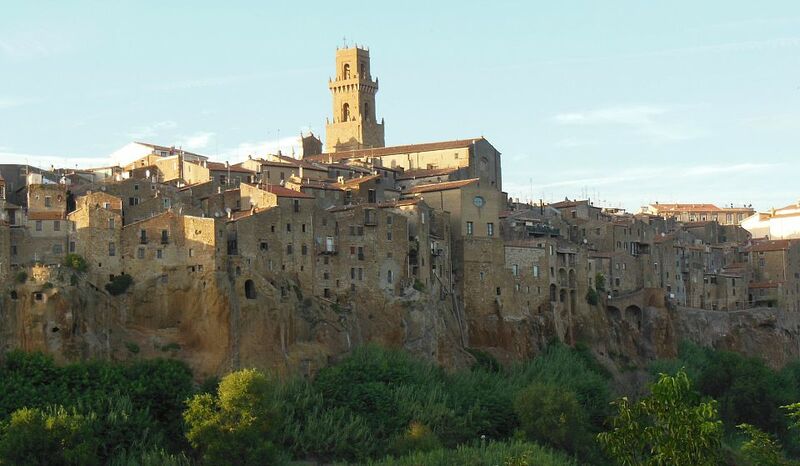 San Domino, San Nicola and Cretaccio are a fabulous experience for the whole family. We went there when our eldest son was 4 YO and still remember as a perfect sailing journey. When planning a family vacation to Italy that includes islands, it will be difficult to choose just one or two destinations. Generally speaking, tourists come to Italy and arrange a fly & drive across the country. 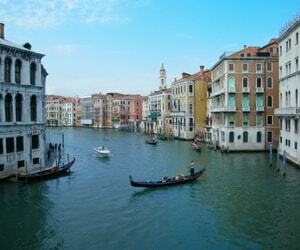 They mainly remain inland and include the most famous cities of art in their tour. So if you are considering to visit Florence, Pisa and Rome (that are located close to the Tyrrhenian cost), you should grab a ferry chasing for sea adventures. The best way to explore the Italian islands is by boat: try to arrange a cruise (sailing will be so beautiful) in the Tyrrhenian sea and get the most of the Italian sea. If you are looking for an authentic pirate feeling, get in touch with our friends at Italy Charter we had a marvellous holiday with children, sailing to Elba Island. Plan your vacation in Italy and let us know in the comment which one has stolen your heart forever among the best Italian Islands to visit with kids!